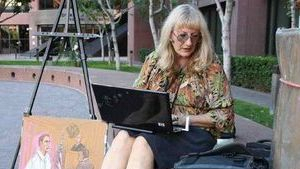 Serving local, national and international media in Federal Court of the Southern District of California, Superior Court San Diego County, MCRD, Camp Pendleton, 32nd Street Naval Station, District Court in El Centro and Yuma, California. 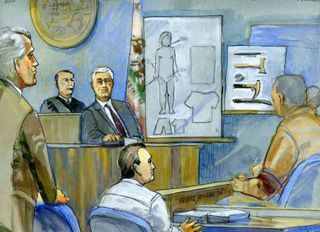 Courtroom Sketches published on local KGTV-10 ABC, KUSI-51, FOX 5 News, CW6 XETV, KBNT-17 UNIVISION, KFMB-8 CBS, KNSD-7/39, KVBC TV-13,KPBS, Pasadena Weekly, Marine Corps Times, Rocky Mountain News, El Diario,San Diego Union Tribune and national/international media Univision, Telemundo, National News Service, Reuters, EFE, PBS NEWSHOUR , ABC, NBC, CBS, FOX, CNN, Associated Press, Courthouse News. Documentaries include: D. Sikorski film "Article 32" and Frontline "Rules of Engagement", CNN "This Week at War", A&E Cold Case Files #112, 48 Hours Devil's Island, CityBeat "For The Record" Review by Kinsee Morlan, 2011. 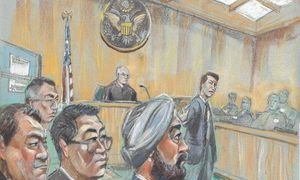 Camp Pendleton Hearings: Haditha and Hamdinia Courts Marshal link.